The Brockville Lawyers of Stewart Corbett have specializations in the areas of Wills, Estates & Trusts, Real Estate Law, Mortgages, Civil Lawsuits, Business Law and Corporate Law. 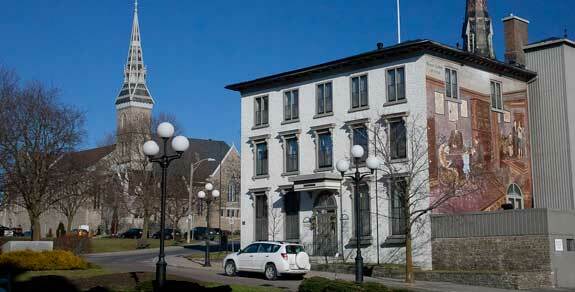 The firm’s existence spans a period of ninety-two years making it one of the oldest and most respected law firms in the Brockville area. The firm continues to provide a complete range of legal expertise to individuals and business organizations in Brockville and surrounding municipalities. When you retain a lawyer at Stewart Corbett you have full access to all of our legal specialists. We are proud of our tradition of quality service to our clients. Solicitor/Client Confidentiality is strictly maintained. Stewart Corbett is dedicated to maintaining advanced technological systems. This assists us in providing you with the most efficient and reliable legal services. Our Life Planning Portfolio, created and published by Stewart Corbett assists clients with the difficult task of organizing their financial and estate documents. Stewart Corbett strives to continue the tradition of approachable, friendly legal service which has characterized the firm throughout its 92 year history. © Copyright 2013 Stewart Corbett. All Rights Reserved.